In the era of globalization, societies are becoming more diverse. Every country around the globe exhibits some ethnic, religious or cultural diversity. Instead of an asset to be celebrated, however, governments too often treat this as a threat. 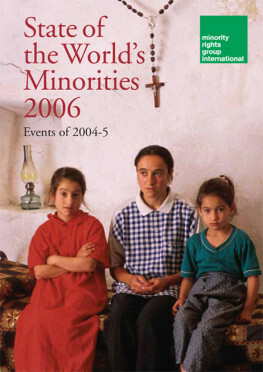 States in every world region repress the rights of their minorities, or even deny their existence. For some minorities or indigenous peoples, their very survival is at stake. In addition to the war in Iraq, which remained the focus of intense media attention, over 20 further major armed conflicts were ongoing in other parts of the world in 2005, as well as a range of lower intensity conflicts. In three-quarters of these armed conflicts, violence was targeted at specific ethnic or religious groups. Yet many of these conflicts could have been prevented if minority and indigenous rights had been respected. statistical data on Peoples under Threat 2006 p ratification tables for the main minority rights treaties and extracts from recently-concluded treaties. This major new reference work provides an objective analysis of how minorities and indigenous peoples are treated around the globe – and with it a measure of the civilization of our societies.